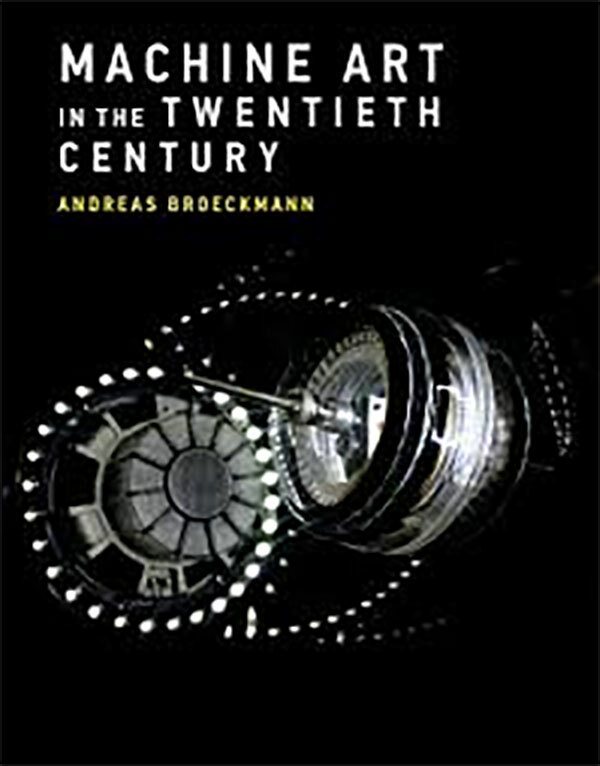 Those familiar with Andreas Broeckmann’s work, first at V2 Rotterdam, and after, as Transmediale artistic director, can recognise in this text various parts of his long-standing, personal investigation into ‘machinic’ art. Tracking back exhibitions he has curated, and texts he has written over the years, it’s possible to recognise some highlights he celebrated in the past, over a trajectory leading to this book. Here he attempts to systematically connect the ubiquitous machine and machine-like concepts with a number of artists’ work and their own diversified directions, defining five essential qualities of machine aesthetics: associative, symbolic, formalist, kinetic and automatic. Framed into a consistent historical line, a few artists are prominently featured, among the many, like David Rokeby and Stelarc, possibly using the body as external and internal machines, but also spanning from Jean Tinguely’s deconstruction of machinery, to Seiko Mikami’s exquisitely inscrutable digital environments. Broeckmann clearly dismisses ‘machine art’ as a genre definition, rather disambiguating it, historically being sceptical about all the attempts to singularly define art in relation to technical-related means. But the artworks and exhibitions he analyses and describes form a conceptual cartography of inter-related references which can be used as a foundational transparent layer to understand the small galaxy of machines in art.